Medina, in Saudi Arabia, houses Al-Masjid Al-Nabawi, the Prophet’s Mosque. This mosque is the second holiest site in Islam after the Kaba and the Sacred Mosque in Mecca. It was built after the hijra from Mecca to Medina in 622 C.E. 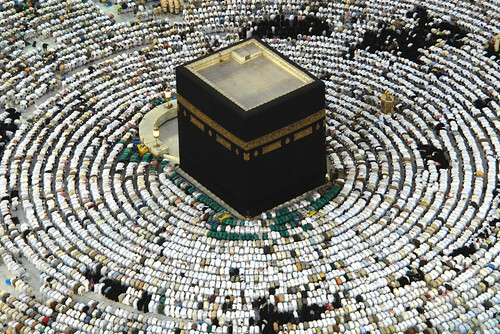 Many Muslims performing the hajj will try to go visit this holy mosque as well. The focus of this post, the second in a series on important sites, is the Prophet’s Mosque.